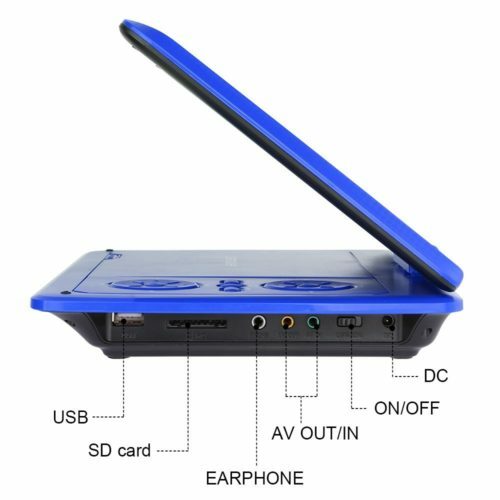 HIGH CAPACITY BUILT-IN BATTERY: Built with 2500 mAh rechargeable lithium battery that ensures an using time about 5 hours. 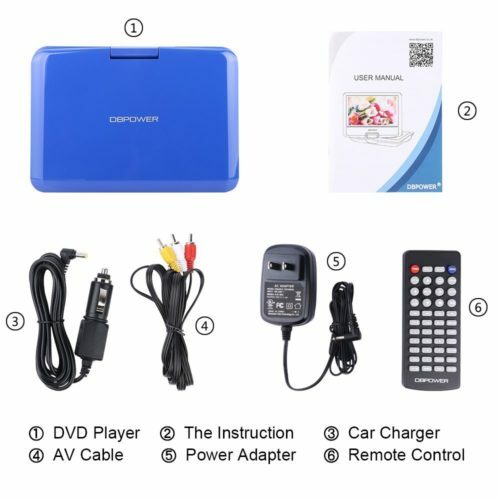 Battery-powered, car charger, AC power adapter three power supplies, you can play anywhere. 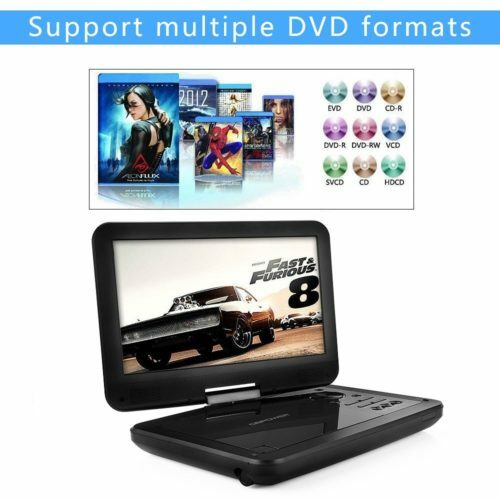 SUPPORT MULTI-MEDIA: Direct play in formats: CD, DVD, CD-R/RW, DVD -R/+R, DVD+RW/-RW, VCD,SVCD; USB and SD Card supported: MP3/WMA/WAV, JPEG, NES(game format), MPEG2/AVI/DIVX, TXT. 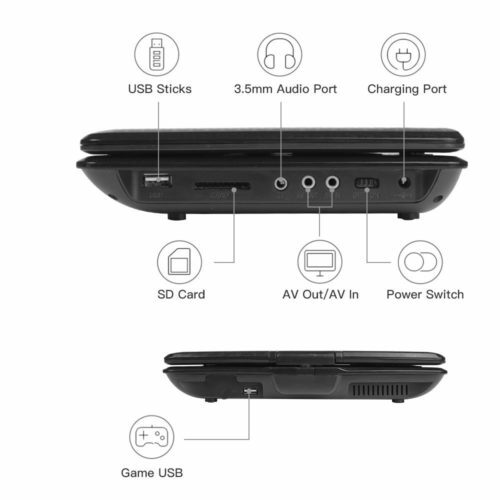 Also the Game USB for game joysticks provides an extra entertainment of playing games. 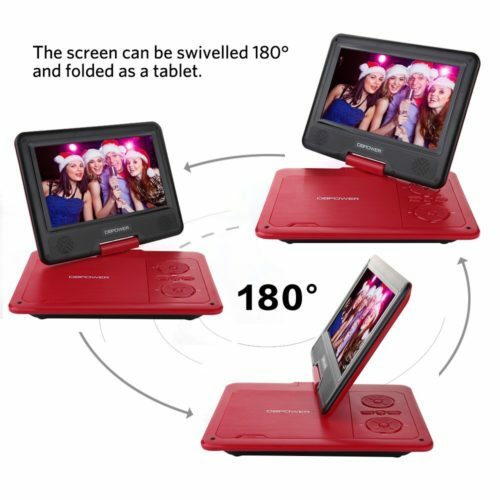 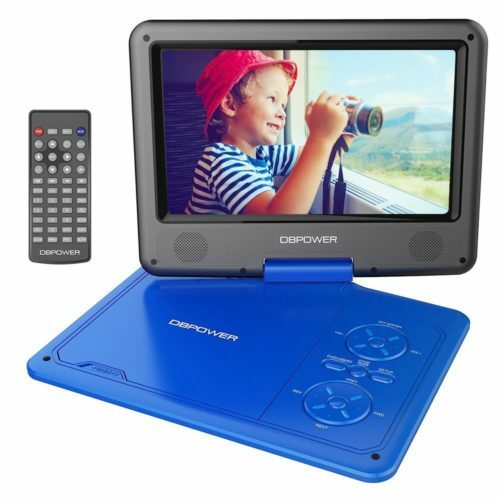 SWIVELING SCREEN: 7.5 inch 800*480 Swivel Screen with 270 degrees rotation and 180 degrees flip. 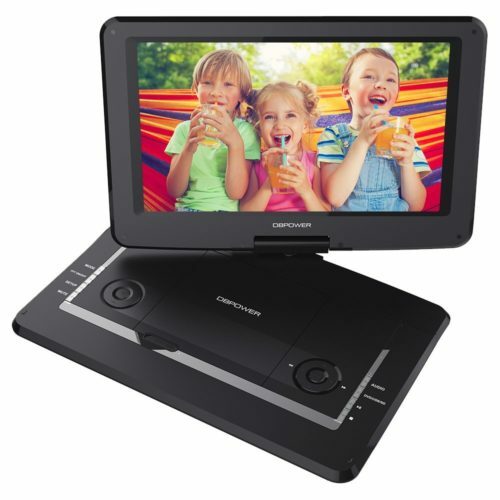 Easily swiveled as a tablet to attach to the car headrest when you are on road trips. 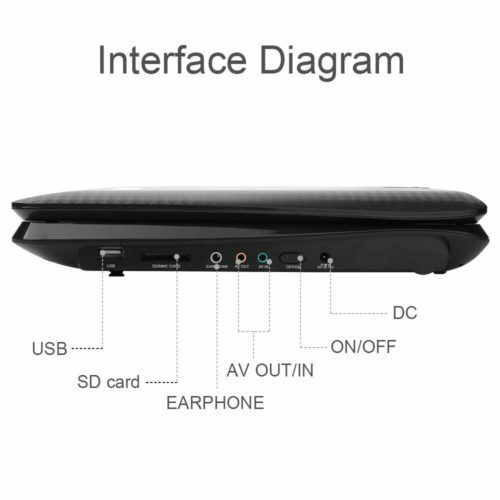 MULTIPLE WAYS TO PLAY: AV input and output can be connected to the TV, watching movies on the big screen. 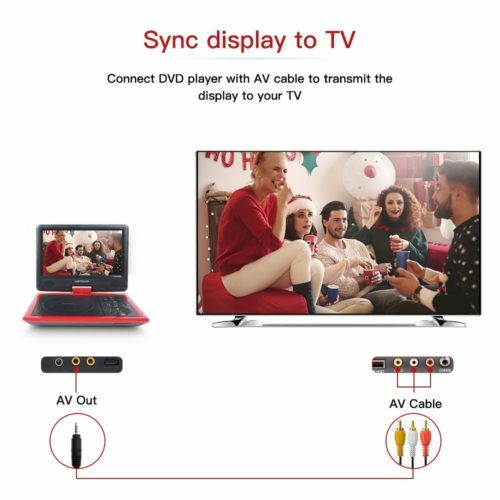 2 same players can be connected by an AV to AV cable to play same movie at the same time. 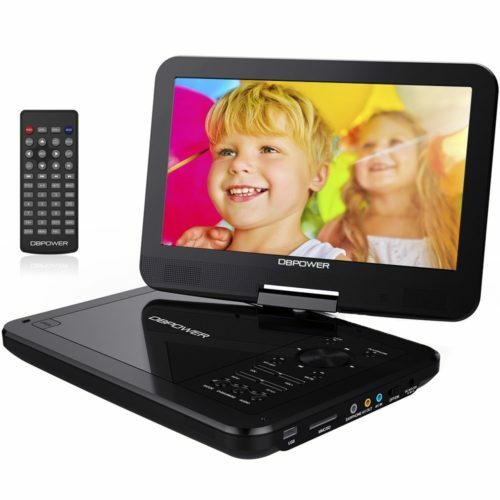 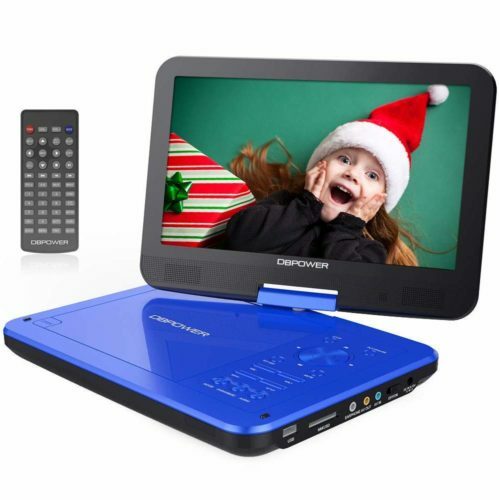 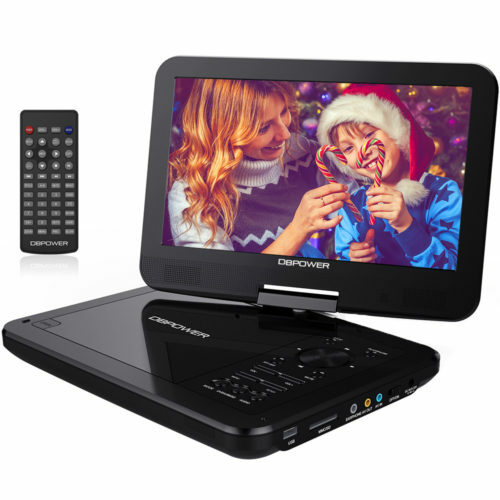 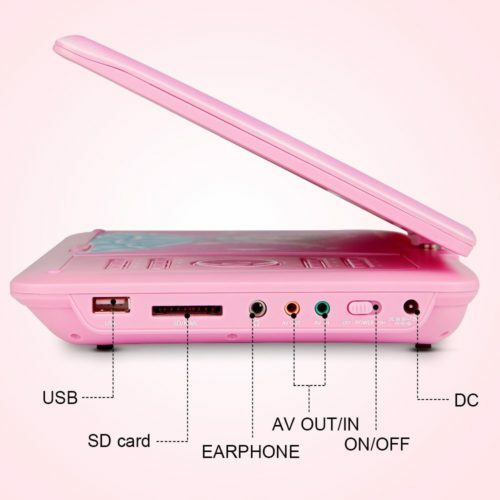 LAST MEMORY: Support break-point memory function, our portable DVD player will pick up from where you left last time. 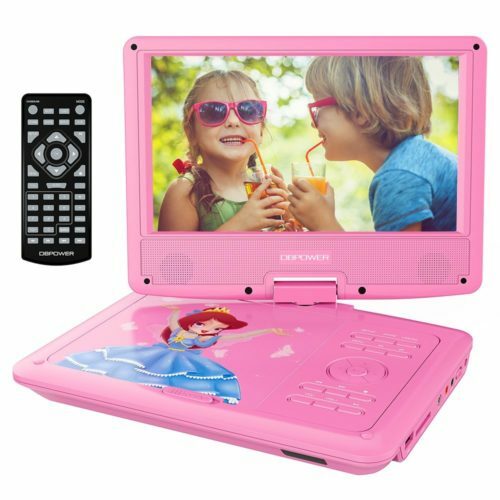 HIGH CAPACITY BUILT-IN BATTERY: Built with 2500 mAh rechargeable lithium battery that ensures an using time about 4 hours. 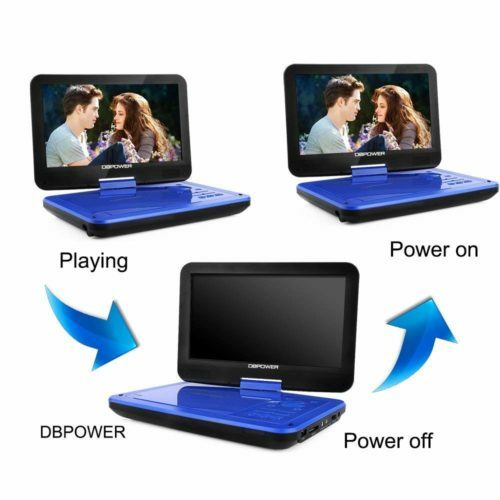 Battery-powered, car charger, AC power adapter three power supplies, you can play anywhere. SUPPORTS HUGE ARRAY OF MULTIMEDIA: Supports direct play of CD, DVD, CD-R/RW, DVD -R/+R, DVD+RW/-RW, VCD, SVCD (but not Blu-Ray DVD). 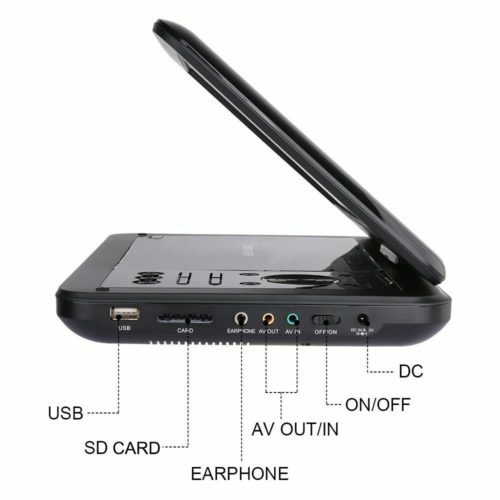 Supports USB and SD Cards for playing MP3/WMA/WAV, JPEG, MPEG2/AVI/DIVX. 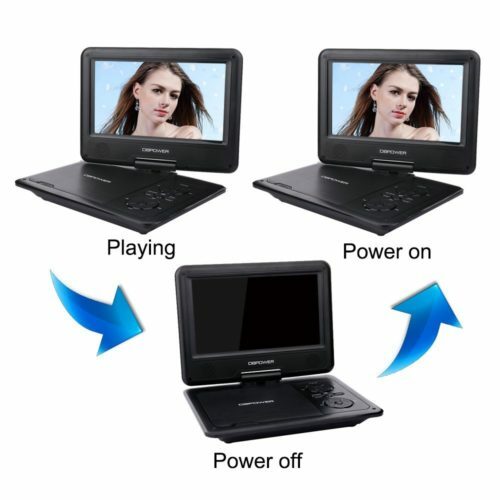 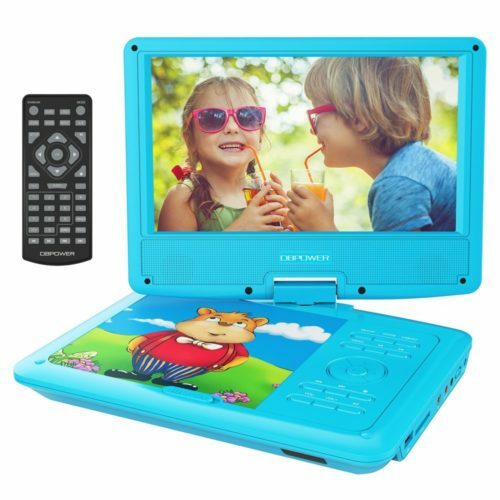 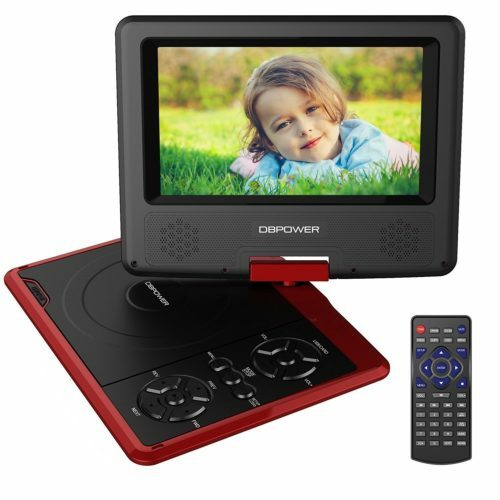 SWIVELING SCREEN: 9 inch 800*480 Swivel Screen with 270 degrees rotation and 180 degrees flip. 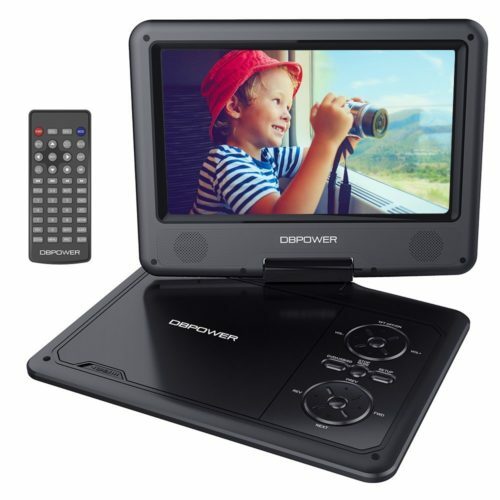 Easily swiveled as a tablet to attach to the car headrest when you are on road trips.